This is the latest example of the increasing number of immaculate cafe racers coming out of America. Called the Honduki, it's an award winning build based on a 1975 Suzuki GT550 but, as you can see, it looks nothing like the pudgy streetbike Japan intended it to be. 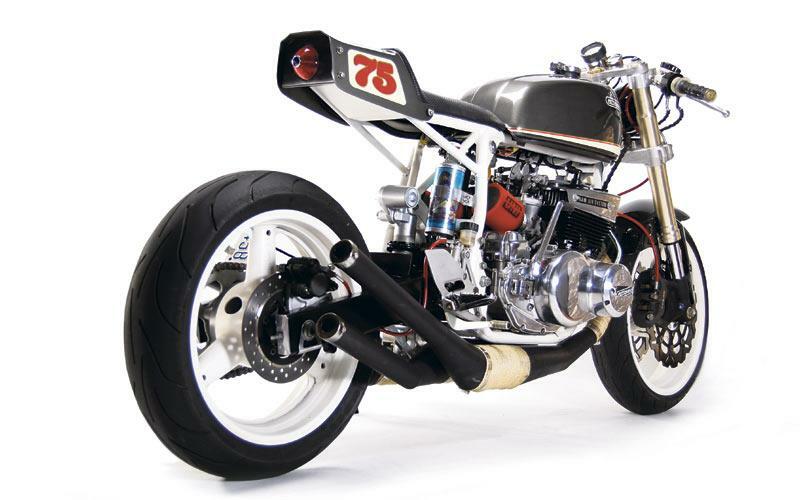 It's made by Motohanger, a burgeoning custom bike shop specialising in cafe racers based on '70s Japanese motorcycles. Motohanger's Pat Jones, a former lawn mower mechanic, started out hot-rodding his own street bikes but ended up building stuff for his mates and is now looking to take his business to another level. Jones told MCN: "The cafe thing is picking up steam here. The big chopper craze kinda blew out. With all the TV shows it grew so fast but the interest is now dying off." Jones says that this is his biggest build yet and is an amalgam of parts from different motorcycles. 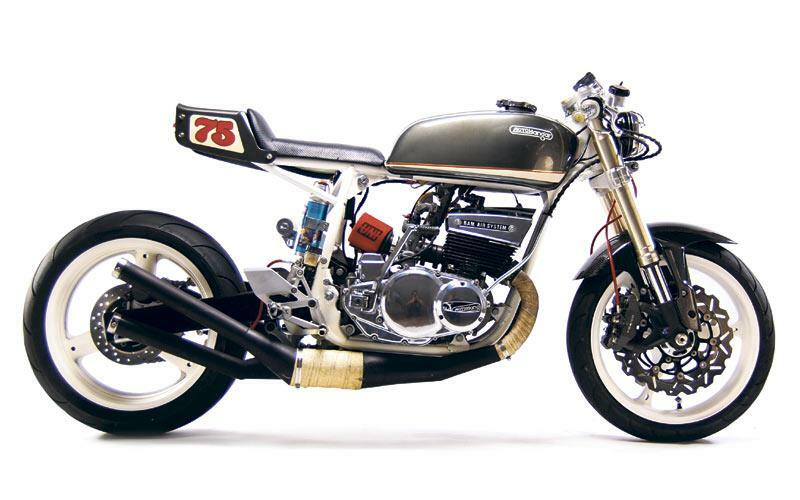 The heart of Honduki is an air-cooled, three-cylinder GT550 two-stroke Suzuki that's been bored 50 thou oversize and benefits from some modified Kawasaki triple expansion chambers. 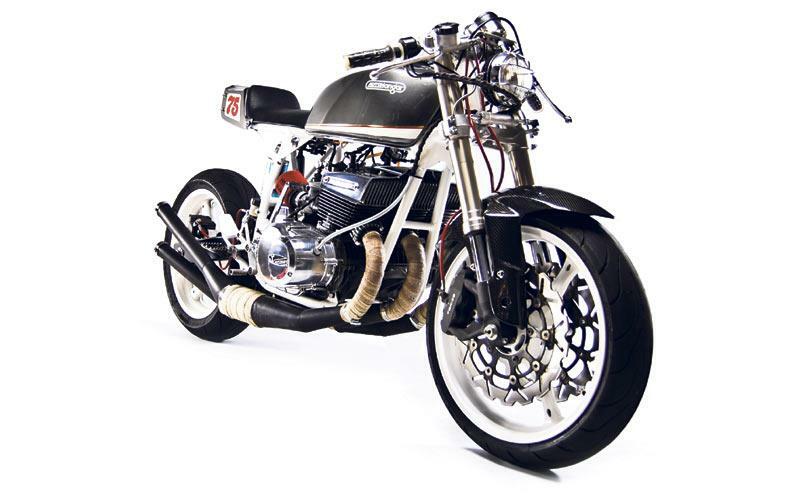 For more details on the bike, and to see more Motohanger creations, see the February 22 issue of MCN.